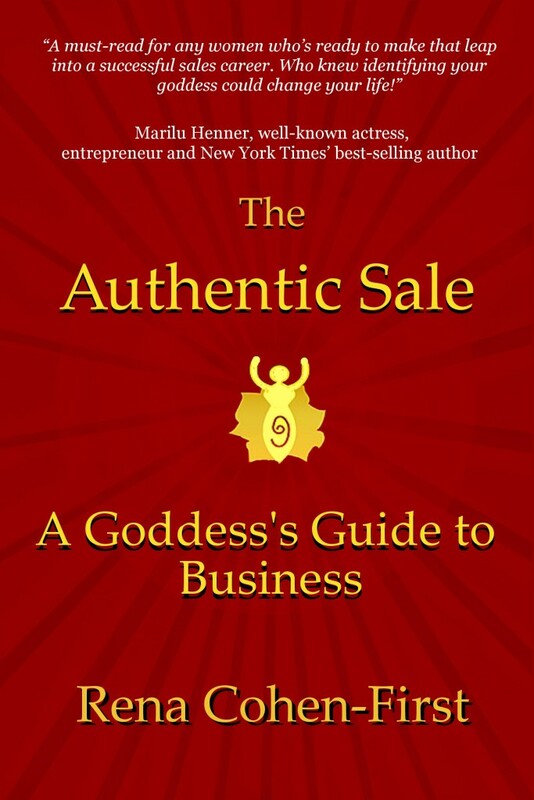 Author of The Authentic Sale: A Goddess's Guide to Business. Mother, Leader, Teacher, Coach, HuffPost Blogger & Sales Goddess. In my book, The Authentic Sale, A Goddess's Guide to Business, I speak about knowing which aspects of the (somewhat) universal sales process are your natural strengths. Knowing your strengths and then leading with them will help you fortify all of the other components of the process by understanding which competencies to shore up by teaming up with other behavioral types' techniques. For many of the behavioral types that you might see in the business world, I describe Greek Goddesses as metaphorical female business archetypes. About once a year, as a Sales Professional, I will work on my annual big-picture game plan to see the patterns and movement and how I can affect the growth of building new top partnerships. For this experience, I call on Themis the Goddess of Order. Themis helps me visualize a matrix of how the patterns in the big picture breathe life into my business. How many industries do your customers fall into? How are your offerings unique to each? If you are not involved in various industries, look closer at your customer. What do they value? Cost? Resources? Quality? Brand support? If you look closely, you will see a natural segmentation occur. Looking for patterns is how you begin to standardize what you offer to each. I have worked with two companies that had undergone acquisitions. As a result, they brought in consultants that conducted "turnaround" strategies to determine how to best make the mergers succeed. In both scenarios, the consultants end up segmenting customers into four categories as their primary output. So, let's be consultants and strategists and do the same for our own businesses. Once you can see patterns, try to generalize each customer group into quadrants, or buckets. This allows you to standardize the resources you use to meet their needs. Instead of starting from scratch with every new interaction, you can rely on a structure of emails, tailored messages and tools that you have already established. For example, in each customer category I might list three product groups or different types of services. Then I might list the various cross-functions within my organization (such as marketing, business development, and R&D) that can offer something unique to each of these categories. For each of these, I would create different objectives. Now, create messages for each of the segments. What do they need? What do they prefer? What can you offer to solve their issues or help their business? 1)	One segment that was willing to pay top-dollar for the most value-added versions of their product. 2)	Another group that was interested in using their optional trademark and were very reliant on their marketing support. 3)	The third group was heavily dependent on their research and development team to support them in their innovation efforts. 4)	The rest were highly price-sensitive and did not need or rely on marketing support, value-added options, or research and development assistance. Look at your customer base and think about your best partners. Who are they? What makes them this way? How do they align with your company? Are they higher revenue? More loyal? More appreciative of your services? Identify these elements to understand your criteria for the most ideal customers. The Pareto Principle says that approximately 80 percent of your business will come from 20 percent of your customers. I found it shocking when I first challenged this theory by running the numbers on my region. Indeed, a perfect 80 percent of my business came from the top 20 percent of my customers. How much time do you spend with this group? This is likely where you should be spending a lot of your time, up to 50 percent. There are many ways to expand the service with any customer, but especially ones that are in this category. They likely rely on you to help drive innovation, be a continual resource, and of course protect the relationships from competitors. Next, look at your high-potential customers and think about which ones could become partners. How will you quantify this group? Highest growth? Best relationship potential? How much they value your company? Most innovation? This would be where I might target 20 percent of my time. Think about how much time you would like to spend on prospects. Experts vary on how much time you should spend on prospecting, and the nature of your role will also have an impact on this. Either way, I like to dedicate 20 percent of my time on prospects. Next, look at the customers that you spend a bit too much time with -- those that are not ideal by whichever standards you have created. Think about ways to automate some of your interactions with them. Delegate if possible. Can you move these accounts over to other sales reps? Target giving them 10 percent of your time. Themis was an ancient Titan and the goddess of justice and order. She counseled Zeus on rules, fate, and prophesies and controlled the Oracle of Delphi prior to Apollo. 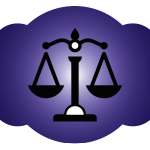 Themis's symbol is the scales of justice. Themis is responsible for balancing power with compassion and seeing where responsibility must be taken. She sits in meditation and looks out into the future of options and opportunity. I have worked with impressive Themis as she rises high into the atmosphere to truly see the big picture and give perspective as to how my actions relate to the company's strategies. She is the highly erudite strategist that graces us with her presence and regales us with her insight. I embrace this oracle, and at the same time, I am afraid of her. She can see right into the future and right through my crap! I invite her to join me when I need to take my ego out of the picture and look critically at what I am spending my time on. Themis as an archetype must be grounded or balanced with Artemis, lest she fly off into the ivory tower of her mind. I've worked with Themises who could spend hours pondering strategy while the walls crumble around them, having abandoned their day-to-day responsibilities. If this archetype resonates with you, make sure you're doing the nuts-and-bolts tactical work, not just the cerebral strategic portion of your role. The next time you are pondering your customer strategy, think of Themis, my friend and yours. Know that you too are a powerful Sales Goddess. Read more in my book The Authentic Sale, A Goddess's Guide to Business.